Our products yield the highest quality DNA and can be stored for years. We can customize your kits with branded packaging, additional marketing collateral and more. All of our devices are non-invasive, intuitive, and designed with the end-user in mind. We ship our products worldwide and can ship direct-to-consumer or in bulk. HIPAA compliant ordering API. The The SD (Saliva Deposit) -3000 is a saliva DNA collection device featuring our dry preservative that allows a no-spill collection experience. 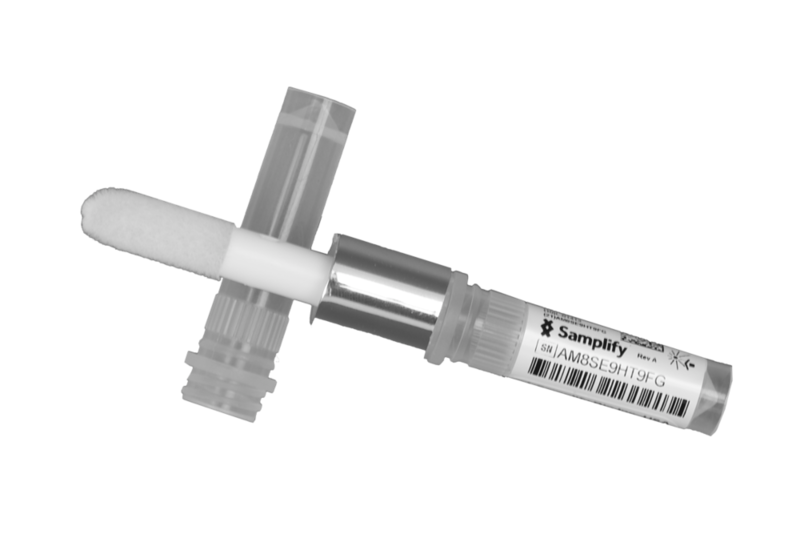 The SE (Saliva Extraction) -2030 is a DNA collection device that is used to swab saliva from the inside of the mouth. The SC (Surface Collection) -2020 is a microbial DNA collection device that can be used on any surface. Our goal is to help customers succeed. Learn more about us and our quality policy.